The Story is set in 350 BC when India was called “A Golden Sparrow”. Gold, Silver and precious stones were bartered in open markets with opulence in every aspect of the country. Tales of such richness had reached far and wide. Foreign traders carried astonishing stories which made India the most sought after jewel every emperor wanted to have which led to the first foreign invader to cross all hurdles; it was none other than Alexander the Great. Purushottam - Porus : the first defender of India; was the only one who stood against Alexander and refused to accept him as his emperor. He believed that no foreigner could rule over his mother-land. Though he lost the war which was fought on the banks of river Jhelum but he defeated Alexander’s army in spirit which started the thaw in their resilience to carry forward their campaign in India. 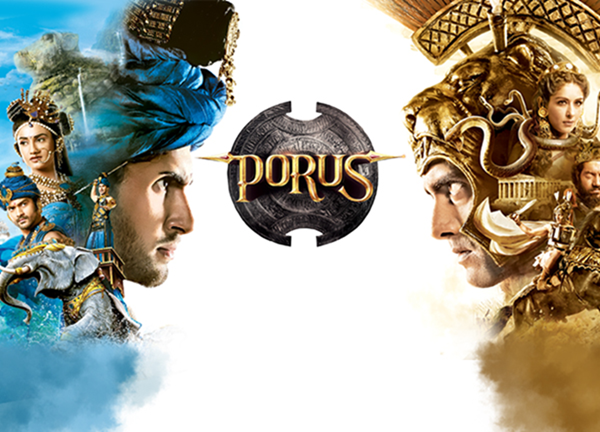 The story traces the time from the day Porus was born in Paurava Rajya to Bamani and Anusuya and Alexander was born to Philip and Olympias in Macedonia. Even though both were born on the same day they got very different upbringing. One was trained to become the greatest conqueror of the world while the other was inculcated with the philosophy of country before self.